Everyone loves to laugh, to wonder, and to be amazed. 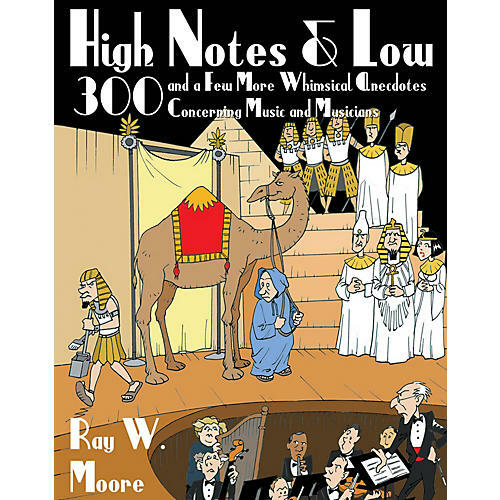 High Notes and Low presents interesting and unusual anecdotal information about classical music and musicians in a down-to-earth, easily readable form. Free of technical jargon, the book is appealing not only to the musician but to the general reader as well, and offers information that all can enjoy. The book is divided into six sections that provide general categories of anecdotes - Composers, Performers, Critics, Conductors, Compositions, and This and That - and encompasses information from all periods of music history. Whether it's camels onstage during the performance of an opera, a conductor's faux pas with a queen, an enraged wife burning her husband's only copy of a symphony, or a look into the many complexities of the Metropolitan Opera building at Lincoln Center, readers will find a vast assortment of fascinating, unexpected, and often unusual facts to keep them enthralled. No other book on the market provides such a wide, enthusiastic, and all-encompassing look into the facts and foibles of classical music. Originally designed for broadcast on KLRE-FM, Arkansas' premier classical music station, High Notes and Low proves that the world of the classical musician is indeed a wonderful, and sometimes zany, place to visit!